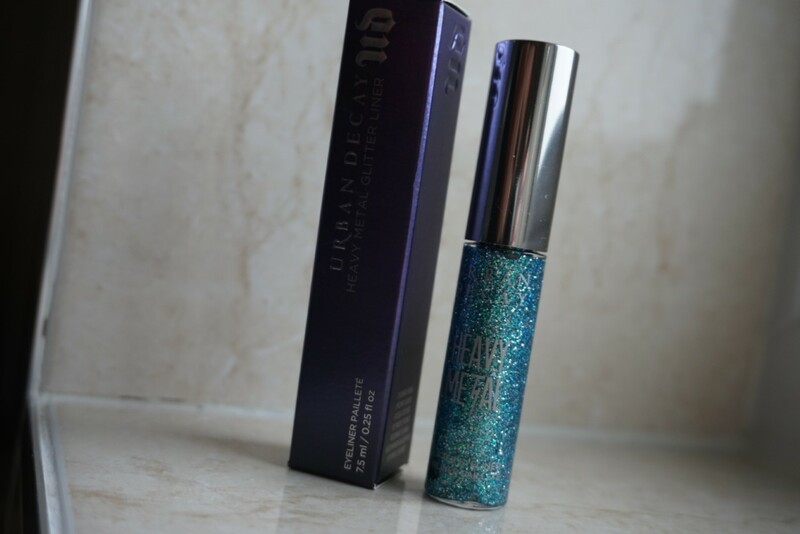 OH MY GOD I HAVE JUST DISCOVERED A BRAND NEW, ABSOLUTE FAVOURITE PRODUCT – the Urban Decay Heavy Metal Glitter Liner. I want to wear it everyday… is it acceptable to bathe in glitter? But seriously, I’m wearing the shade ‘Amp’ in the picture above and I’ve never found a glitter with such a beautiful mix of colour flecks, long-lasting hold, easy applicator and… fairly affordable price tag! To create this look, I blended a subtle layer of cream-brown eyeshadow along the crease, applied a layer of the Kat Von D Tattoo Liner in ‘Trooper’, covered the black eyeliner in the Urban Decay Glitter Liner and finished the eye look by popping on a set of Eylure lashes! 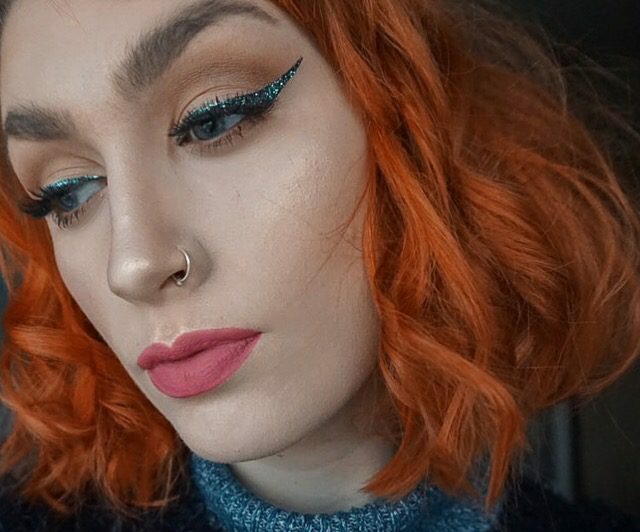 This liner is a 100% MUST-HAVE product if you like glitter (which I’m hoping you all do as much as me). There are so many shades to choose from, including a stunning, irredescent Unicorn-like shade and standout pink/purple tones. Not forgetting the staple gold and silver glitter. One thing is for sure… I’ll definitely be investing in some more colours and reviewing for you guys in the (near) future!